Our second holiday of the year, and a bit cheaper than Barbados, was near Bergerac in the Dordogne region of France. This is actually the second time we have visited this particular area of France having camped in Sigoules back in 1997. This time, we are there with the same friends, Tony and Sarah (and recent addition to the family, Hannah), but staying in a house near Pomport which belongs to friends of the family. This was the view from our verandah where we spent most evenings tasting (*ahem*) the local wines. 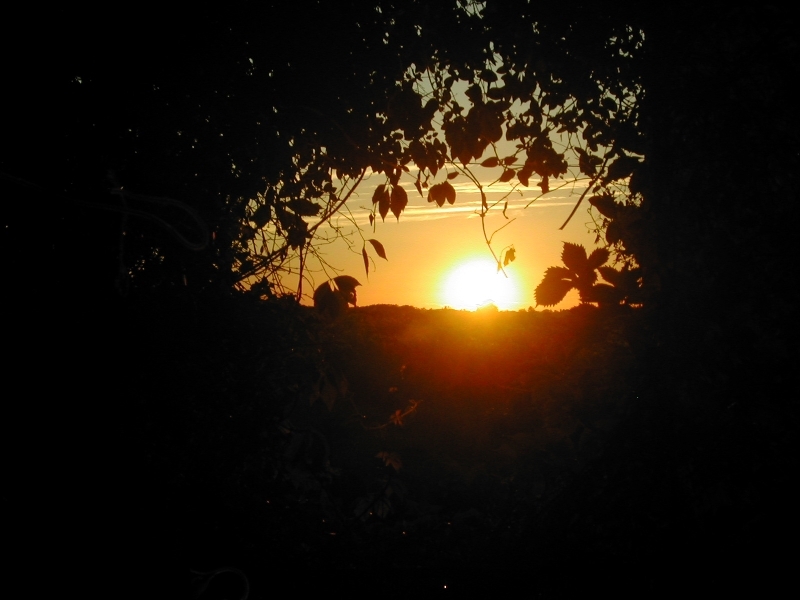 Unfortunately, we hadn’t been too lucky with the weather, so this was our only proper sunset. We did, however, have some fantastic thunder storms which more than made up for the lack of sunsets. 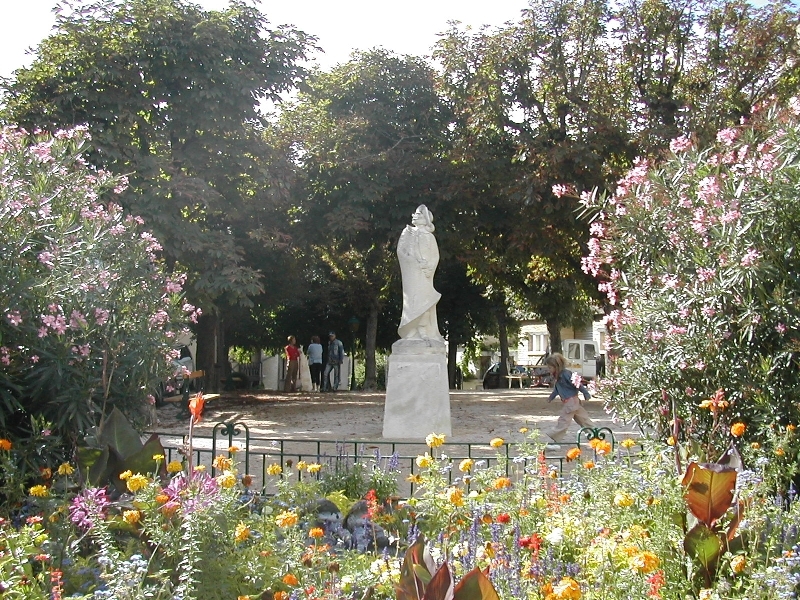 The nearest major town to Pomport is Bergerac situated on the northern bank of the Dordogne. 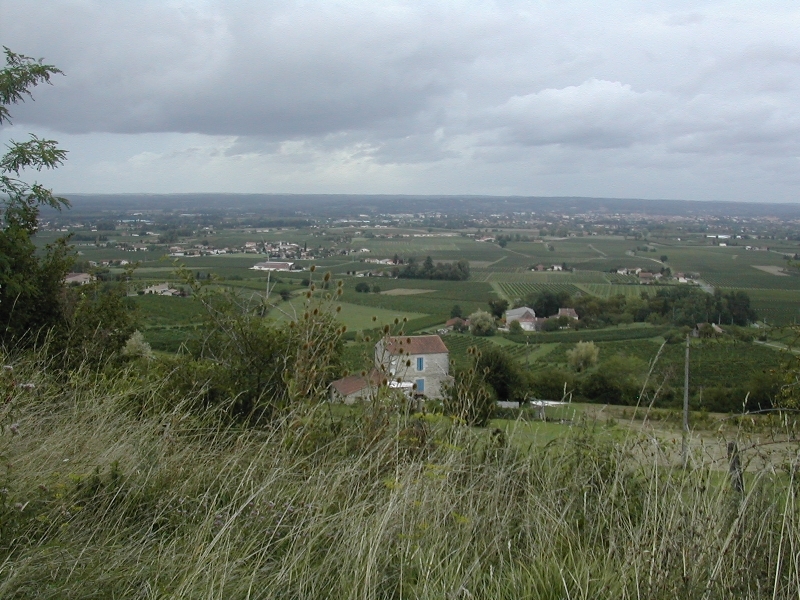 Our route to Bergerac took us past this scenic spot overlooking the nearby vineyards and the town. Again, the weather let us down, so this isn’t the clearest of images. You’ll just have to trust me that Bergerac is in the top right of the image (on the green bit!). “Who is Bergerac’s most famous citizen?” I hear you ask. Well, it’s Cyrano de Bergerac of course. The chap with the big nose. I can’t be bothered to explain the story here, so raid your local video store archives and rent Steve Martin’s Roxanne, which is a modern adaptation of the same story. Oh, alright then, here’s a very brief outline of Cyrano de Bergerac. Whilst we intended to have a lazy holiday, having seen a lot of the sites on our previous visit, we did potter around some of the local towns. Castillonnes is a pleasant little town which, on this occasion, was hosting an antiques fayre full of things that most people would never buy. Note the clock tower at the end of the road in the town square. 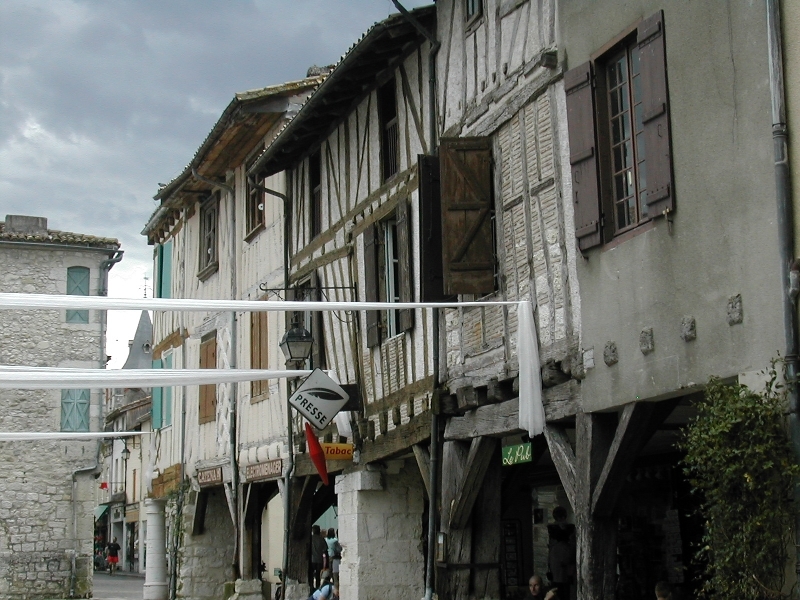 One of the most charming features of some of the older towns was the abundance of rustic buildings. 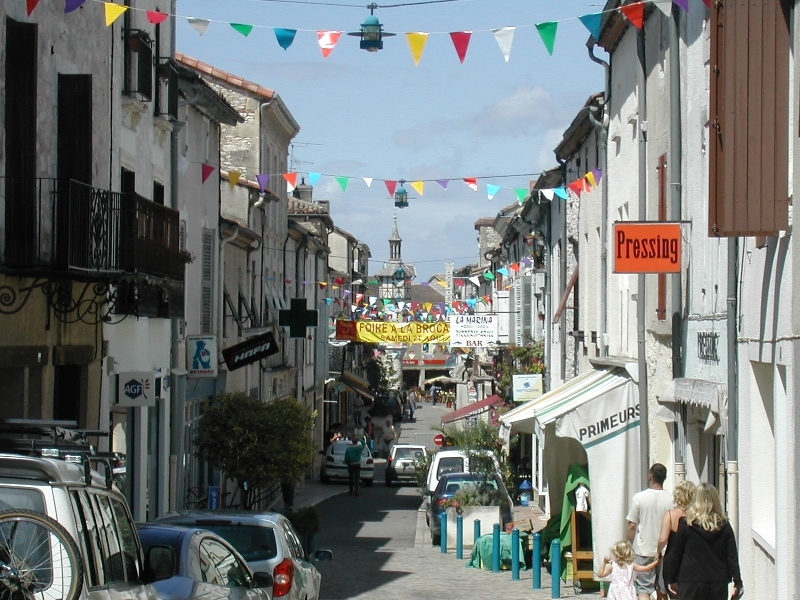 This row of buildings overlook Eymet town square. Sadly, just around the corner is The English Shop catering for the hordes of ex-pats who now live in this town. Many other shops have signs claiming “We speak English”, which I feel reflects badly on us Brits. Learn French, you lazy buggers! Isn’t it cute! 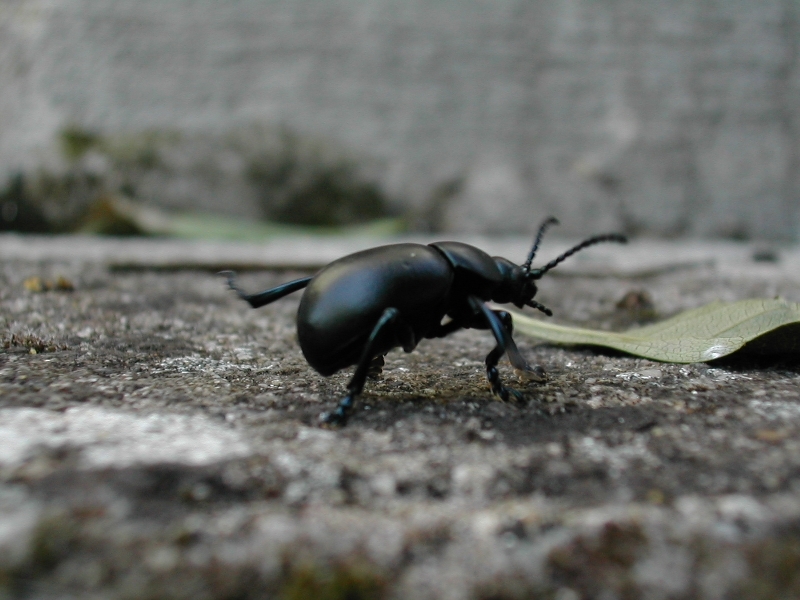 I took this “action” shot as the little beetle was marching across the verandah at our house. It was about 2cm long.